At Applewood Joinery, we are proud to employ some of the industry’s most skilled and enthusiastic individuals. Our friendly and personable team provide a dedicated and reliable service whilst contributing to wider recognition within the industry. The Company and all staff members abide by a rigorous set of standards of workmanship, company stewardship and environmental disciplines. 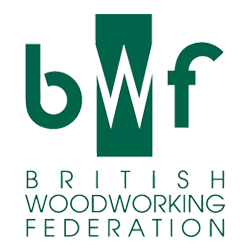 We are compliant with the BWF Code of Conduct which relates to quality of service, manufacture and sourcing. The Company provides self-certified compliance with current thermal performance and Building Regulation standards. Our work is regularly vetted and re-assessed by an independent inspection body to ensure consistency of Building Regulations adherence and service. Our staff and our joinery products are regularly vetted and monitored to see if we meet the Checkatrade Standard, this outlines our commitment to providing a reliable and quality service. "I can quite simply guarantee that we are the best joinery company in the UK. Not only do we provide first class joinery with unique detailing. Our company is driven with passion & love, right from the start to the finish. I am so proud of my Applewood team & can confirm that my team of craftsmen put their heart & soul into every piece of top quality joinery that we produce. Working for top architects & distinguished customers down to the old lady across the road. Every piece of work that the Applewood Joinery team undertakes is made, fitted, & finished with the upmost precision and attention to detail. We provide our customers with the exact service & attention that they deserve."